Save when you Choose a Front and Rear Set Combo! Leading the camper tie down industry in strength, quality, advanced design and installation. TorkLift TRUE frame mounted camper tie downs are far superior to all tie down systems available. The TorkLift tie downs system is unique in its design and is patented. Four independent tie down points (with no belly or crossbar) working much like your receiver type trailer hitch as the inserts are removable allowing the system to be virtually undetectable when not in use. 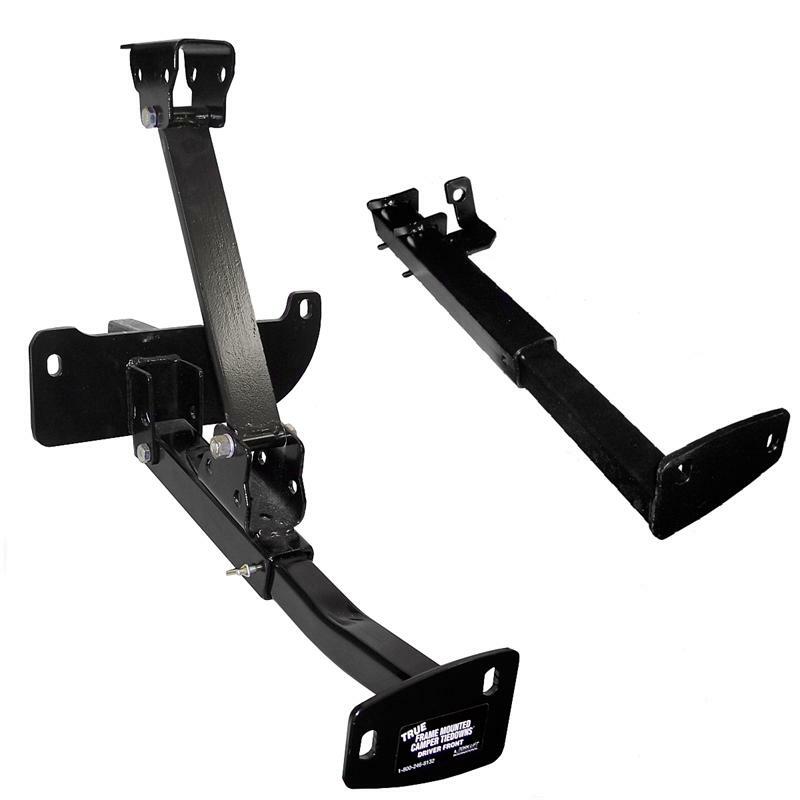 Frame Mounted Camper Tie Downs Eliminate Bed/Bumper Damage! To get the correct TorkLift camper tie downs for your vehicle, there is an automated application guide here. Please put the part numbers you need under special instructions at checkout, or we will call you for your truck information before we ship. Leading the camper tie down industry in strength, quality, advanced design and installation. Torklift Turnbuckles. Choose from the anchor guard, derringer, fastgun or spring loaded turnbuckles. Available in white or grey powder coatd stainles steel. Also available in polished stainless steel.